Earlier this year over Valentine's weekend Katie and I loaded up on a Thursday night and headed for Oklahoma City for the weekend. Our goal for the weekend was to enjoy some girl time and to get away for a while but we honestly never expected to have such a wonderful weekend. 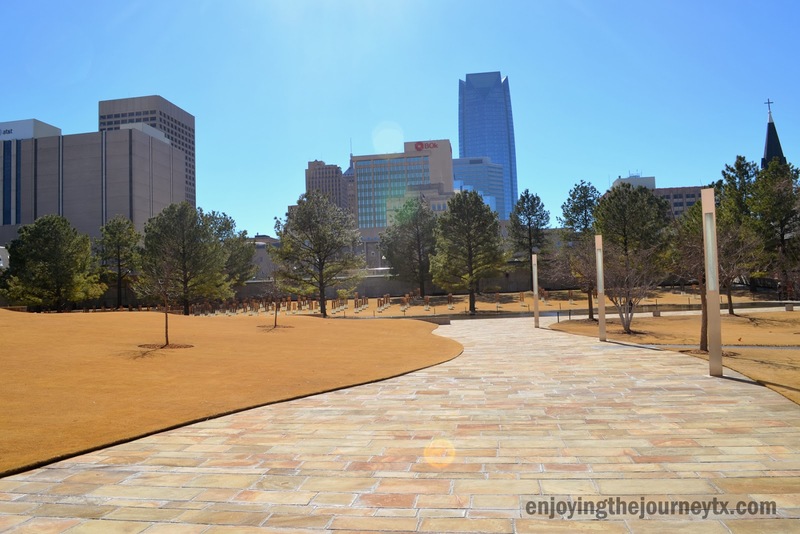 I will tell you all about that wonderful weekend in another post to come soon, but for today it is all about the beautiful Oklahoma City National Memorial and Museum. 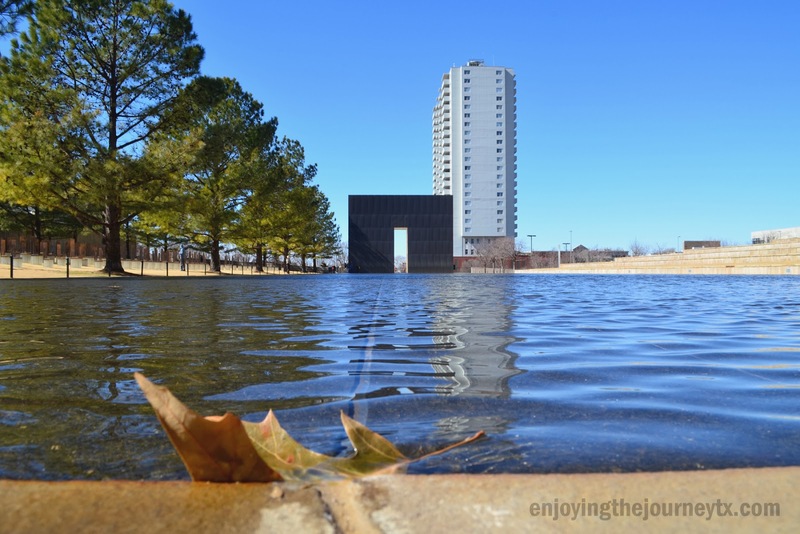 Having grown up so close to Oklahoma and remembering when the bombing happened we knew that we could not spend the weekend in OKC without spending some time there. Having grown up in a family that traveled and stopped at every museum we passed I have some experience with these sort of things. Some are great, some are satisfactory, and some like Pearl Harbor just blow you away. 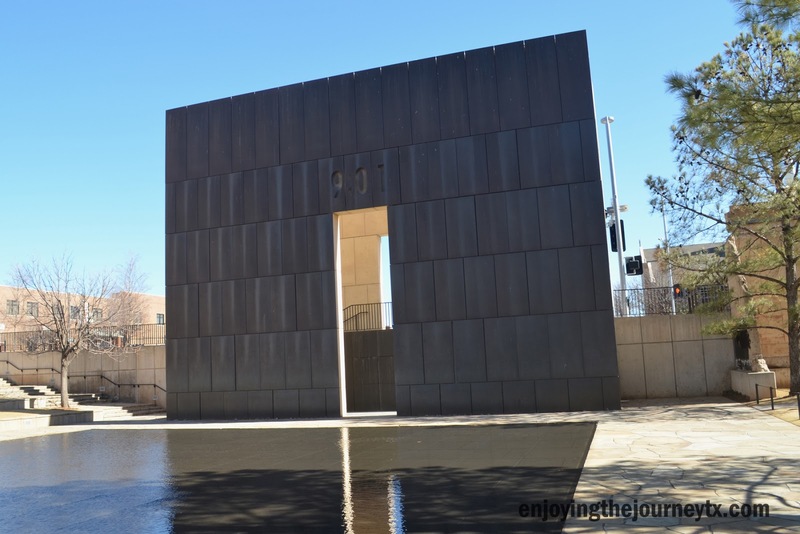 Katie and I went to Pearl Harbor together and we will both tell you that after experiencing it the Oklahoma City National Memorial is just as spectacular. They are very different in magnitude and landscape, but never-the-less both breath taking and so well done. 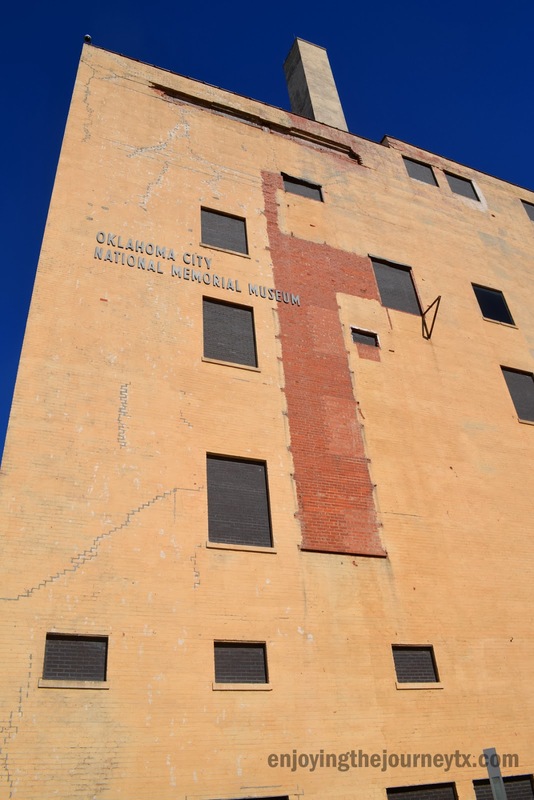 We started our time at the memorial in the museum and toured the many floors of the exhibit. 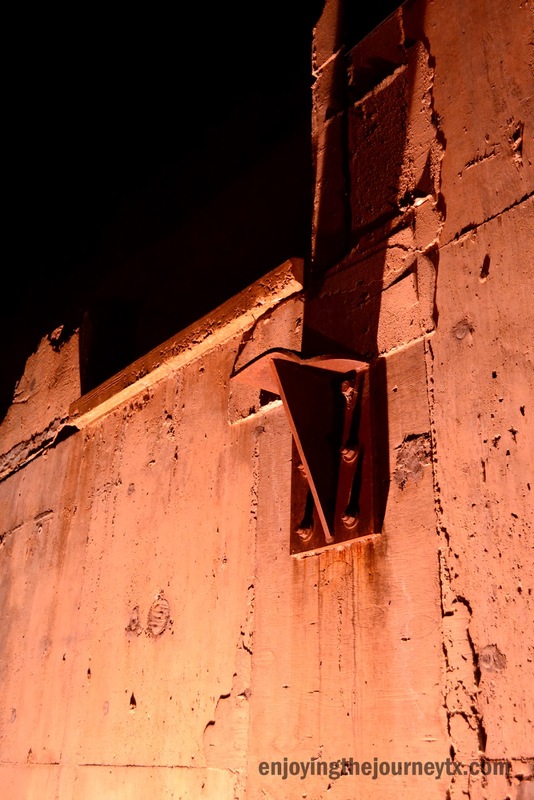 It was so well done from the moment you stepped in the building and it truly made you feel like you were there to experience the bombing. That was both chilling and sobering at the same time. 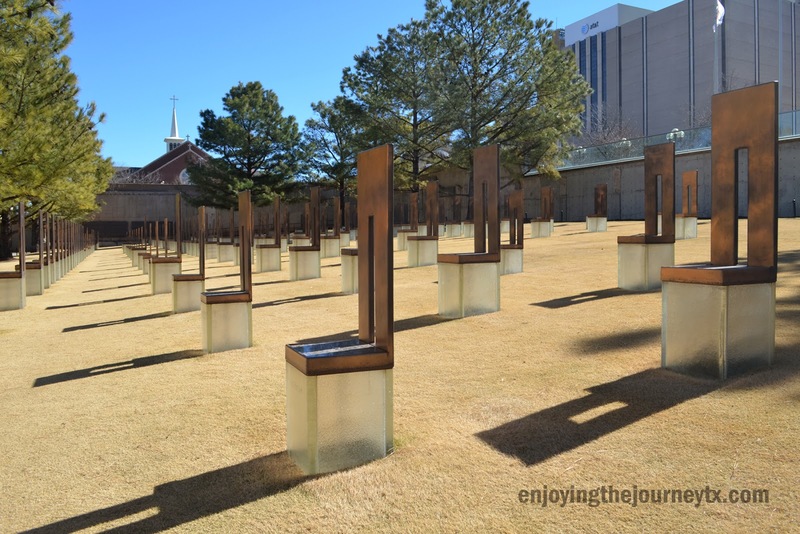 After touring the museum, watching many videos and even meeting a friend of one of the children that passed in the bombing we headed out to the outdoor memorial. I had heard about how breath taking it was from friends, but still I was not prepared for it. 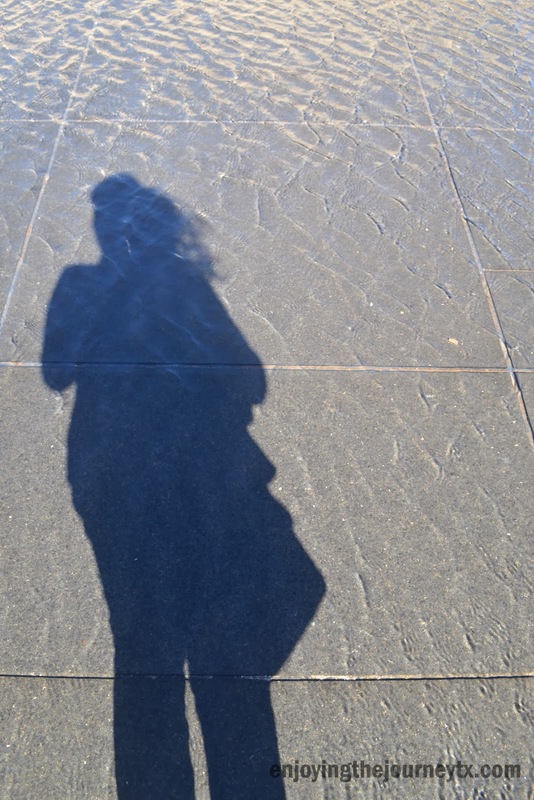 We walked around for quite some time, enjoyed the sun and got some great shots of the chairs and reflection pool. 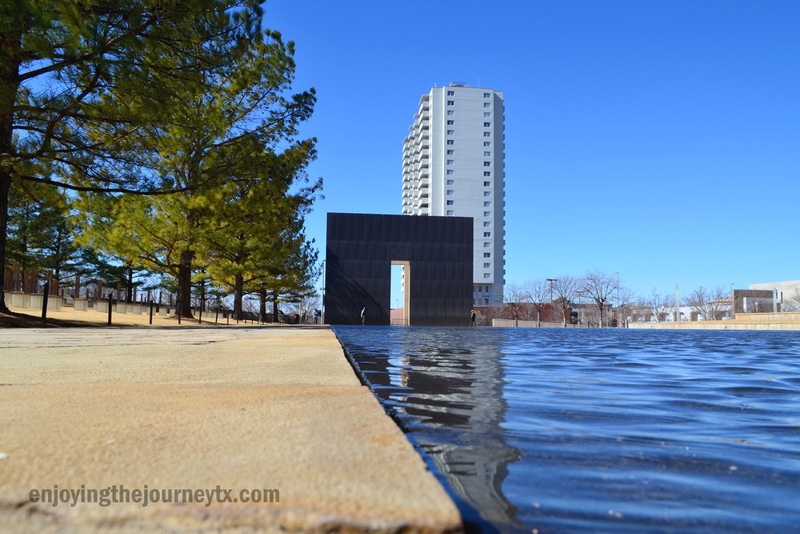 Each end of the pool represents the times of that morning that truly changed that city forever. 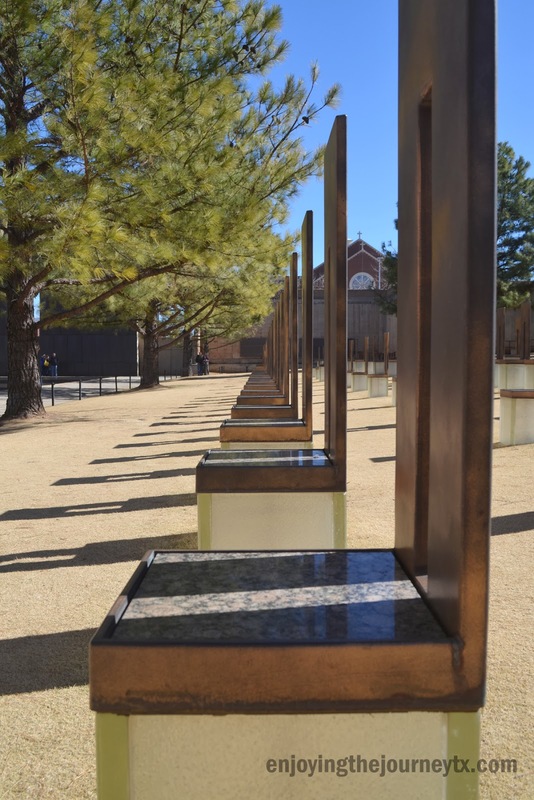 Each chair represents someone that passed away in the bombing. There are 168 chairs and 9 rows to represent the floors of the building. They will literally stop you in your tracks when you see the names and the smaller chairs for the children. 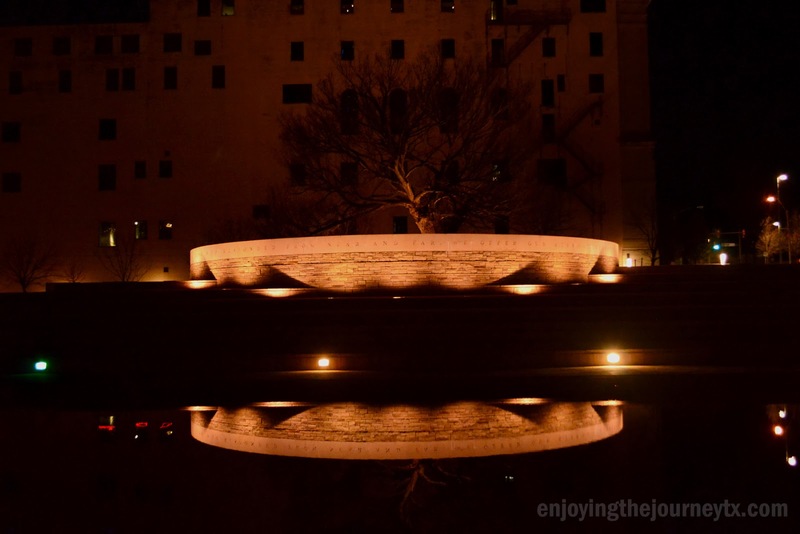 Katie and I headed back later that night after a wonderful day in the city for some more shots of the beautiful outdoor memorial. 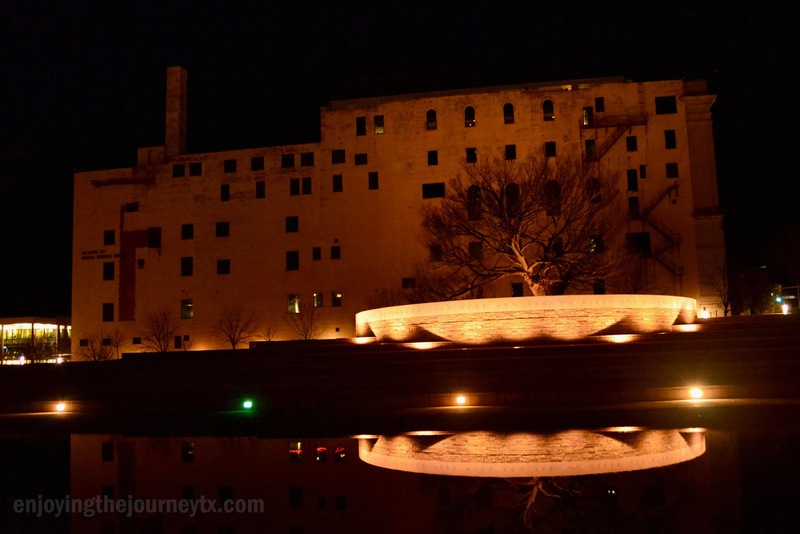 I had seen pictures before and heard all about it, and even after seeing it that morning I was not prepared for the beauty of the soft glow of the chairs and he moon shinning above. 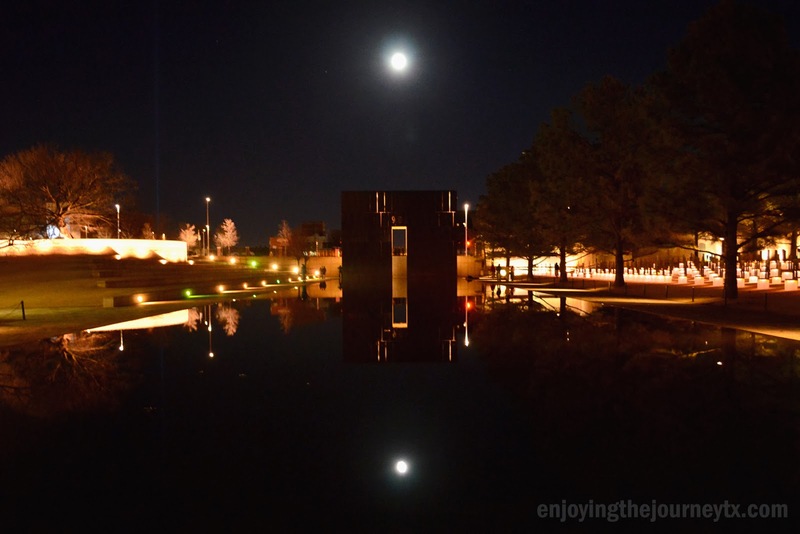 If you even get the privilege of visiting the memorial you MUST go at night. You will not regret it. 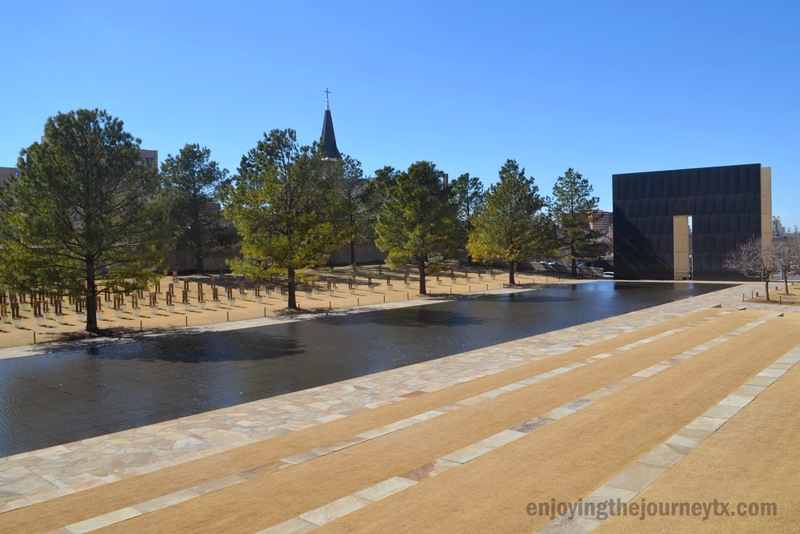 This memorial was one of the best I have ever visited and I am truly humbled to have been able to spent some quality time there. 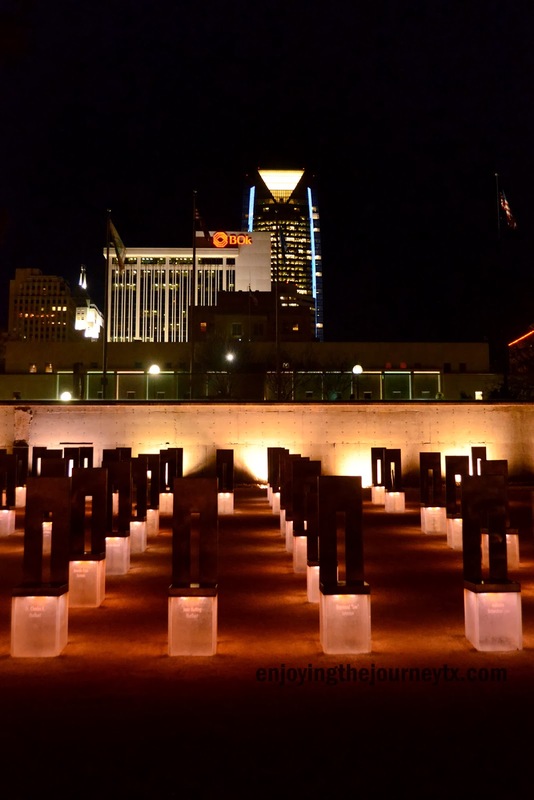 My recommendation to anyone visiting Oklahoma City is that you must schedule plenty of time to both walk through the museum, the outdoor memorial and visit it at night. 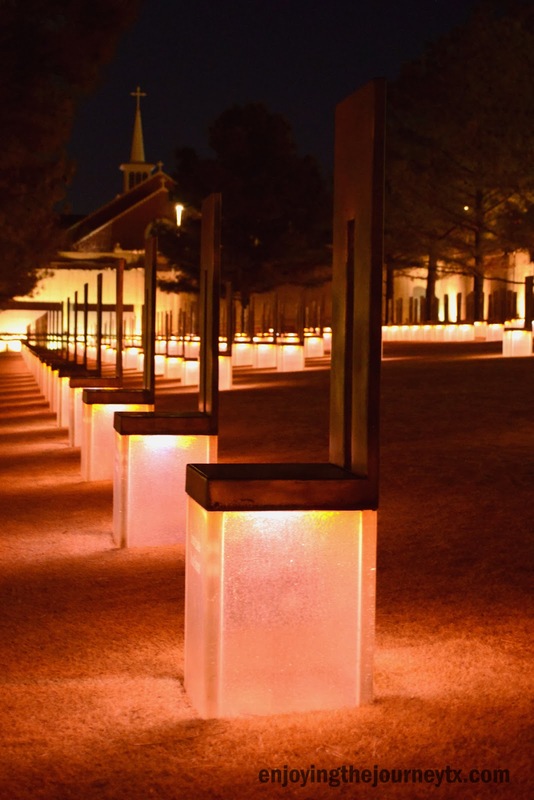 For some, April 19th is just a day, but for others it is a day that forever changed their lives. Great pictures! I've never seen the memorial in person. Nate used to have baseball tournaments near the bombing site.